The Bi-Digital â€œ0â€ Ring test was invented and patented by Dr. Yoshiaki Omura, a Japanese born US doctor and can be used to test and show if you are negatively affected by electro-magnetic radiation. This test can be researched on the internet by googling â€œ0-Ring Testâ€ and takes two people to complete. In either a standing or sitting position, hold your left hand face up. Then with your right hand touch the tip of your middle finger to the tip of your thumb, point your index finger and close your fourth and fifth finger into the palm of your hand as per Figure 1. The tester then creates two circles with both of his thumbs and index fingers by inserting them into the circle created in your right hand as per Figure 2. The tester will now attempt to pull your middle finger and thumb apart while you concentrate on keeping them together. This usually is difficult to do under normal pressure. 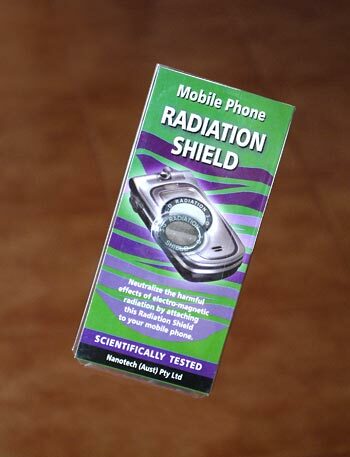 To counter-act the harmful electro-magnetic radiation place a Nanotech Radiation Shield on the back of your mobile phone (mid centre). Take the test again attempting to pull the thumb and middle finger apart. You will now find that the strength in your fingers has returned! PROTECT YOURSELF NOW!Â Â â€“Â Â YOUR WELL BEING IS YOUR MOST VALUABLE ASSET! â€œI think it would be very foolish, very foolish, to assume there is no relationship and not take any precautions,â€ David said. â€œWhat makes me angry is that they continue to sell these phones without making sure that they are safe.â€ The evidence is mounting. Brain tumours are on the increase â€“ even neurosurgeons are concerned. The industry stands firm, however, not all of them. David was just 30 years old when he underwent three operations to remove the tumour as big as a golf ball, around his acoustic nerve. During the surgery, the nerve was removed and another was accidentally damaged, causing David to lose muscular control in his face. â€œI believe mobile phones gave me this tumour and I blame the mobile phone companies,â€ David said. Davidâ€™s tumour is one that studies have linked to mobile phone use. Professor Bruce Armstrong is head of Sydney Universityâ€™s Public Health Dept. Heâ€™s spent 10 years looking at the research between mobile phones and brain tumours. There was evidence of a twofold increase in risk of tumours. While David is trying to piece his life back together, he worries for the millions who constantly use their mobile. â€œYou see 10 year olds running around the street using mobile phones, I wonder how theyâ€™ll affect the development of their brains,â€ said David. Enrico Grani too blames his brain tumour on heavy mobile phone use over 10 years. â€œI had an analogue phone it was like a toy, you know what I mean, you get a new toy you talk on the phone,â€ said Enrico. He was diagnosed with a meningioma in the right parietal globe. After the operation, he was in a coma for three days and suffered a stroke. â€œI blame the cell phone industry blinded by greed, theyâ€™ve known about this for many, many years but they still deny it,â€ said Enrico. None of this surprises those in the business of brain surgery. One prominent Canberra Neurologist has written a research paper on the link between mobile phones and brain tumours. He believes mobile phones will be the next great public health issue and he compares their effects with those of smoking and asbestos. Heâ€™s calling on government and industry to take immediate steps to reduce exposure of consumers to mobile phones. â€œThere is certainly an element of concern not only from myself but from a lot of my colleagues. A lot of my neurosurgery colleagues go even further and really try and minimise the amount of mobile phone use they engage in, that reflects an underlying concern that there may well be a relationship,â€ said Richard. â€œI use it every day and I use it a lot every day, Iâ€™m very comfortable personally with the way the research effort conveys to markets like Australia and globally the level of safety you can enjoy when using a mobile phone,â€ said Chris. But David had a different view. â€œItâ€™s ruined the life I had previously had, all these plans and ideas and so much hope for the future and now thatâ€™s all changed. Iâ€™ve had to reevaluate everything,â€ said David. 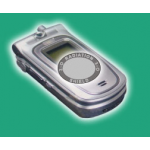 The Nanotech Radiation Shield was tested and proven by Global Certification Laboratories USA.